We are one renowned names that are engaged in manufacturing, supplying and exporting a wide range of high quality Ripening Chamber. Our professionals have manufactured these chambers in complete compliance with the international quality standards. 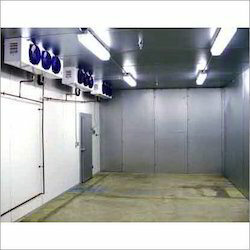 Furthermore, our professionals can assemble these chambers at clients location. These chambers have in-built capacity for cooling. We are a prominent manufacturer, supplier and exporter of an extensive range of Ripening Chamber including Banana Ripening Chamber. All our products are manufactured using finest quality material so that these are in compliance with international quality standards. The material used to manufacture the offered range is sourced from well-known vendors of market. Furthermore, we customize these products as per customers' requirements.